This post was sponsored by Munchkin to raise awareness for Project Orca. Regardless I only recommend products and brands I truly love, and only promote campaigns I truly care about! I’ve always loved marine mammals. They are just fascinating creatures to me. When I was a kid we used to take our boat out with my family and I remember dolphins just swimming right up to our boat and it being the coolest thing ever. In fact, for a while as a kid I wanted to be a marine biologist when I grew up and seriously looked into how to do it. What I’ve never understood is why we don’t treat marine mammals with the respect they deserve. Our ocean ecosystems are a key part of our world, and marine mammals have evolved to spend their lives in oceans, not captivity. And orcas in particular are beautiful, special creatures who we need it to protect, not torture for our own personal amusement. I always love a company willing to take a stand for something they believe in. 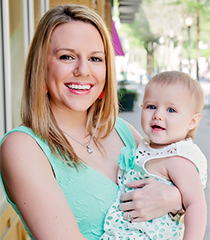 Munchkin makes high quality baby products that we’ve used since Maddie Grace was born. Munchkin sold the Toy Orca Whale for 10 years but have decided to put principals before profit, and recently removed the orca from the sea squirt lineup, because a bathtub isn’t big enough for an orca. In fact, Munchkin has kick-started a donation of $1,000,000 to develop the first sea side orca sanctuary in the United States via Project Orca as a response to the harmful practice of keeping orcas in captivity. How do we know having orcas in captivity is harmful? Well there are a few glaring statistics. Orcas in captivity have shorter lifespans, immune system dysfunctions and increased infections, behavior abnormalities, and difficulty raising their children. Most orcas in captivity don’t live past 25 years where in the wild they live on average 30-50 (depending on gender), there has even been a female in the wild that lived to 100 years. There have also been numerous incidents of orcas in captivity hurting or even killing each other and trainers and not a single instance of either in the wild. In the wild orcas are matrilineal, where those family bonds are broken up when in captivity. Also orcas in captivity don’t keep the cultural traditions and communication of orcas in the wild. At least 46 orcas have died at SeaWorld alone and total in North America there are 29 captive orcas. If you feel the same way please join us in taking a stand for orcas and support Project Orca! You can also get one of these sweet t-shirts there! Wow what an awesome project! These tee shirts are adorable too! These tees are darling! Love this project! What an amazing program! I love the shirts, they are so cute! Great project- and that shirt is the cutest!